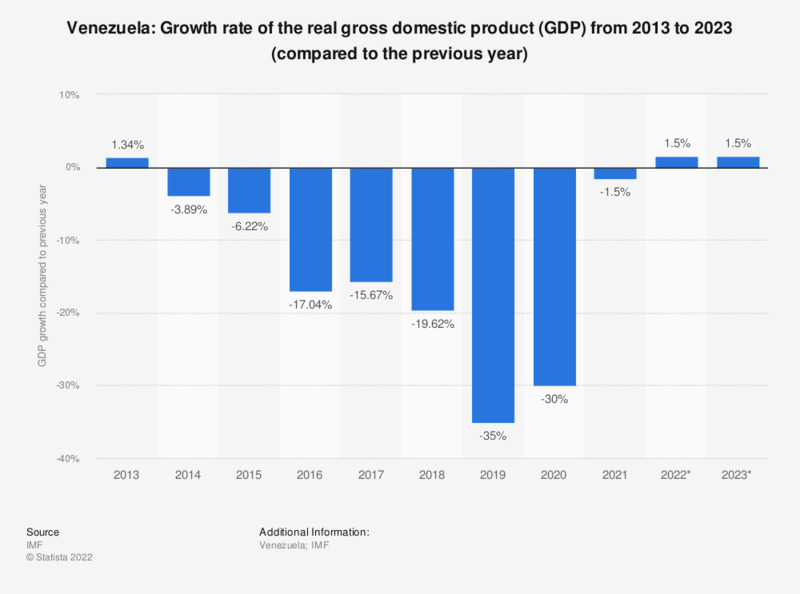 The statistic shows the growth in real GDP in Venezuela from between 2012 to 2016, with projections up until 2022. In 2016, Venezuela's real gross domestic product decreased by around 16.46 percent compared to the previous year. Venezuela: If you had the opportunity, would you move permanently to another country, or not? Venezuela: Do you have confidence in the national government?